Christian or not, you owe it to yourself to read these three novels….. and come on, everybody likes Graham Greene. Dying 76 year-old pastor John Ames writes a letter to his seven-year-old son. 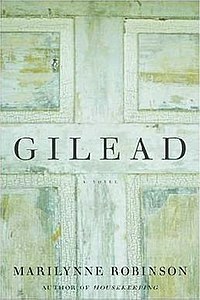 Gilead is much more than a extended note. It is a record of Ames’ life and considerations. A “whisky priest,” constantly in guilt over his mortal sins, is on the run from a lieutenant who has vowed to catch him and all other priests. The lieutenant wants to rid the world of its “real” problems.